Do you know what ingredients are in your pets food that needs to avoided? If you are like most pet owners you probably don’t know. Don’t fee so bad, not many pet owners do. There are some that do know. However, if you do not know, just read this article. Most pet owners may not know about the ingredients to avoid in pet food that they purchase at the pet store. It’s vital that all pet owners get educated on the ingredients being used in the pet food being manufactured in the United States. Some of the ingredients can be harmful to your pets. 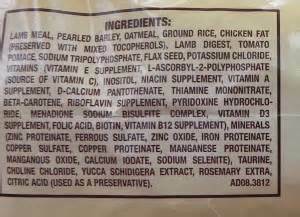 If you should see any of these ingredients on the label, then do not purchase the pet food product and look for other brands that manufacture better quality pet food that is healthful for pets to consume. You should feed you pet the most healthy food available which provides them with better health and growth as they age through different life stages. There are many companies that do produce excellent quality pet food. As a pet parent you just have to become familiar with the ingredients being used in the making of the pet food. As a wise shopper, you can read the labels first prior to purchasing any product. Here is a list of additives that are dangerous or are poor quality ingredients and if you should see them in the label avoid buying the product. Glyceryl Monostearate – It is used primarily as a thickening agent. Phosphoric Acid – A harmless but unnecessary ingredient, used in inexpensive, poor quality dog food as flavoring. Propylene Glycol – This is a colorless viscous hygroscopic liquid used in antifreeze solutions. May be toxic if consumed in large amounts. Go back to Ingredients to Avoid In Pet Food topics. is a list of binders to be avoided if found in the ingredient list. Corn Gluten – It is not a harmful ingredient but should be avoided simply for its poor nutritional value and quality. Wheat Gluten – An inexpensive byproduct of human food processing with almost no nutritional value. The following is a list of carbohydrate sources being used by manufactures and should be avoided if found on the dog food ingredients label. Brewers Rice – Also appears in ingredient lists as ground Brewers Rice. Contrary to what many pet food companies want to make you believe, this is not a high quality ingredient, just much cheaper than whole grain rice. Cereal Food Fines –This is an inexpensive byproduct of human food processing of unknown source, quality, possible chemical residue, sweeteners or other additives. Feeding Oat Meal – This is a food-grade fractionated grain, byproduct from human food processing, that is not as nutritionally valuable as the product obtained from whole oats. Grain Fermentation Solubles – This is an inexpensive byproduct of human food and beverage production which adds little or no nutritional value to pet foods. Maltodextrins & Fermentation Solubles – Its better suited for use in short term feeding like e.g. livestock than as an ingredient in pet food. Potato Product – A cheap byproduct of human food processing that has been stripped of much of the nutritional benefits that whole, fresh potatoes offer. Soy Flour – Much of the nutritional value is lost already during processing of the grain to flour. Below are some coloring agents used in pet food that should be avoided if found in the ingredients on the pet food label. Blue 2 – The largest study suggested, but did not prove, that this dye caused brain tumors in male mice. The FDA concluded that there is “reasonable certainty of no harm“, but personally I’d rather avoid this ingredient and err on the side of caution. Titanium Dioxide – A non-toxic but an unnecessary ingredient that could just as well be left out. Yellow 5 – The second most widely used coloring can cause mild allergic reactions, primarily in aspirin-sensitive persons. It should be avoided in pets. Yellow 6 –The dye is isolated as the sodium salt and dried. Industry-sponsored animal tests indicated that this dye, the third most widely used, causes tumors of the adrenal gland and kidney. Yellow 6 may also cause occasional allergic reactions. Below are some fat sources that are used in the manufacturing of pet food. If you should see any of these ingredients avoid buying the food. Animal Fat – It consists predominantly of glyceride esters of fatty acids and contains no additions of free fatty acids. If an antioxidant is used, the common name or names must be indicated, followed by the words “used as a preservative“. The animal source is not specified and is not required to originate from “slaughtered” animals. The rendered animals can be obtained from any source, so there is no control over quality or contamination. Beef Tallow – Fat obtained from the tissue of cattle in the commercial process of rendering. Dogs and cats like the taste of this fat, so it is often used to make low-quality food more palatable. Beef tallow is very low in linoleic acid and much cheaper for the pet food industry to use than a good quality vegetable oil or nutritionally rich chicken fat. Lard – The rendered fat of swine. Very low in linoleic acid but very attractive to pets, used to make poor quality food more appealing. It has few nutritional benefits. Poultry Fat – It must contain not less than 90 percent total fatty acids and not more than 3 percent of unsaponifiables and impurities. It shall have a minimum titer of 33 degrees Celsius. If an antioxidant is used, the common name or names must be indicated, followed by the word “preservative(s)“. The rendered fowl can be obtained from any source, so there is no control over quality or contamination. Vegetable Oil – The product of vegetable origin is obtained by extracting the oil from seeds or fruits which are processed for edible purposes. The source vegetables for this oil (and therefore the nutrient properties or lack thereof) are unknown. Here is a list of the fiber ingredient sources used by pet food manufactures. 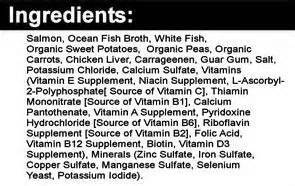 If any of these ingredients are found on the label then that product should be avoided. Cellulose – Purified, mechanically disintegrated cellulose prepared by processing alpha cellulose obtained as a pulp from fibrous plant materials. Dried wood is the most common source for cellulose. It is cleaned, processed into a fine powder and used to add bulk and consistency to cheap pet foods. Avoid this ingredient. Corn Bran – It’s the outer coating of the corn kernel. This is an inexpensive source of fiber that serves as a filler ingredient to add bulk to poor quality pet food. Corn Cellulose – A product obtained from the cell walls of corn. Obtained by use of a chemical process, it is used to add bulk and consistency to cheap pet foods and has no nutritional value. Oat Hulls – Most likely what is left over from de-hulling the whole oat kernels after harvesting, comparable to peanut hulls. It is not the same as oat bran (the hull that protects the grain itself), which is a quality source of dietary fiber and removed prior to rolling and/or flaking. Peanut Hulls – The outer hull of the peanut shell. No nutritional value whatsoever, and used exclusively as a cheap filler ingredient. There is a possibility of pesticide residues being present. Rice Hulls – The outer covering of rice and is an inexpensive byproduct of human food processing, serving as a source of fiber that is considered a filler ingredient. Soybean Mill Run – Composed of soybean hulls and such bean meats that adhere to the hulls which results from normal milling operations in the production of de-hulled soybean meal. An inexpensive byproduct of human food processing, commonly referred to as “floor sweepings“. This is inexpensive filler has no real nutritional value. Wheat Mill Run or Wheat Middlings – Coarse and fine particles of wheat bran and fine particles of wheat shorts, wheat germ, wheat flour and offal from the “tail of the mill“. An inexpensive byproduct of human food processing, commonly referred to as “floor sweepings” with no nutritional value. 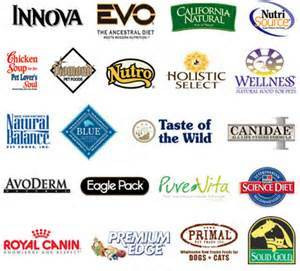 Below is a list of flavoring agents being used in manufacturing pet food and should be avoided. Animal Digest – The animal tissues used shall be exclusive of hair, horns, teeth, hooves and feathers, except in such trace amounts as might occur unavoidably in good factory practice and shall be suitable for animal feed. If it bears a name descriptive of its kind or flavor(s), it must correspond thereto. A cooked-down broth made from unspecified parts of unspecified animals. The animals used can be obtained from any source, so there is no control over quality or contamination. unspecified parts of specified or unspecified animals (depending on the type of digest used). Flavor – A substance, such as an extract or spice, that add flavor to a product. The manufacturer may or may not give more detailed information about what is used for flavoring and whether it is made from a natural or chemical substance. Glandular Meal – Since it is used as a “source of liver flavor” in poor quality foods, it is safe to assume that it is a meal obtained from the livers and other glands of various, unspecified animals. Below is a list of fruits and vegetable ingredients used in manufacturing to avoid in pet food. Apple Pomace –It does not contain the whole complement of nutrients as whole fresh or dried apples. Citrus Pulp – This inexpensive byproduct is mainly used as a bulk carbohydrate concentrate in cattle feed but also added as a source of fiber in dog food. Grape Pomace – The mixture of grape skins, pulp, and crushed seeds. An inexpensive byproduct left over from pressing grapes for juice or wine. The product contributes some fiber but otherwise has little to no nutritional value. Also, grapes have also shown to contain a substance that is toxic to dogs. Below is a list of preservatives that should be avoided if found in pet food. BHA – Butylated Hydroxysanisole is a white, waxy phenolic antioxidant, C11H16O2, used to preserve fats and oils, especially in foods. Banned from human use in many countries but still permitted in the US. Possible human carcinogen, apparently carcinogenic in animal experiments. The oxidative characteristics and/or metabolites of BHA and BHT may contribute to carcinogenicity or tumorigenicity. BHT – Butylated Hydroxytoluene – a crystalline phenolic antioxidant, C15H24O, used to preserve fats and oils, especially in foods. Banned from human use in many countries but still permitted in the US. Possible human carcinogen, apparently carcinogenic in animal experiments. The oxidative characteristics and/or metabolites of BHA and BHT may contribute to carcinogenicity or tumorigenicity. Ethoxyquin – Antioxidant – also a post-harvest dip to prevent scald on apples and pears. Originally developed by Monsanto as a stabilizer for rubber, Ethoxyquin has also been used as a pesticide for fruit and a color preservative for spices, and later for animal feed. Prtopyl Gallate – Also known as Gallic Acid or Propyl Ester. It is made from natural Gallic Acid, which is obtained by the hydrolysis of tannins from Tara Pods. Used as an antioxidant to stabilize cosmetics, food packaging materials, and foods containing fats. Mixed tocopherols, citric acid and rosemary extract are more effective, all-natural alternatives – just more expensive. Below is a list of the protein sources used in the manufacturing of pet food and should be avoided. Beef & Bone Meal – A byproduct made from beef parts which are not suitable for human consumption. This is an inexpensive, low quality ingredient used to boost the protein percentage. Blood Meal – Blood Meal is produced from clean, fresh animal blood, exclusive of all extraneous material such as hair, stomach belchings and urine except as might occur unavoidably in good manufacturing process. It’s an inexpensive protein booster. You have no way of knowing what type of animal the blood came from or what residues of hormones, medications or other substances are in this product. Chicken Byproduct Meal – Chicken byproducts are much less expensive and less digestible than the chicken muscle meat. The ingredients of each batch can vary drastically in ingredients (heads, feet, bones etc.) as well as quality, thus the nutritional value is also not consistent. Corn Distillers Dried Grains With Solubles – An inexpensive byproduct used as protein filler in cheap dog food. Its amino acids are poorly balanced, not very digestible, have a high fiber content and nutritional value can vary greatly from batch to batch. Corn Germ Meal – An inexpensive by-product of human food processing, rich in protein but sadly often used as a booster in poor quality foods. It is not a harmful ingredient but should not rank high in the ingredient list of a quality product. Corn Gluten Meal – Its main use is to bind food together. It is not a harmful ingredient but should not rank high in the ingredient list of a quality product. Fish Meal – The clean, rendered, dried ground tissue of undecomposed whole fish or fish cuttings, either or both, with or without the extraction of part of the oil. Like with all other animal sources, if a type isn’t specified, you never know what type or quality of fish is used. According to US Coast Guard regulations, all fish meal not destined for human consumption must be conserved with Ethoxyquin (unless the manufacturer has a special permit). This preservative is banned from use in foods for human consumption except for the use of very small quantities as a color preservative for spices. So unless the manufacturer either presents a permit or states “human grade” fish or fish meal is used, you can be pretty sure Ethoxyquin is present in the food even if it is not listed. Liver Meal – The dried product of ground hepatic glands of mammals. Whenever the word “meat” or the name of an organ appear by themselves (without a species) on a pet food label, there is no way to know which kind of animal it came from. It could be horse liver, goat, duck, pig, or even skunk or other animals of questionable origin. Meat & Bone Meal – The animal parts used can be obtained from any source, so there is no control over quality or contamination. It can also include pus, cancerous tissue, and decomposed (spoiled) tissue. Meat Meal – The animal parts used can be obtained from any source, so there is no control over quality or contamination. It can also include pus, cancerous tissue, and decomposed (spoiled) tissue. Pork & Bone Meal – A byproduct made from pork parts which are not suitable for human consumption. It’s used to boost the protein percentage. Poultry Byproduct Meal – The parts used can be obtained from any slaughtered fowl, so there is no control over the quality and consistency of individual batches. The ingredients of each batch can vary drastically in ingredients (heads, feet, bones, organs etc.) as well as quality, thus the nutritional value is also not consistent. Poultry Meal – The clean combination of poultry flesh and skin with or without bone and does not contain feathers, heads, feet or entrails. If from a particular source it may state so (i.e. chicken, turkey etc.). Notice how in this product the source is not defined as “slaughtered poultry“. The manufacturer does not disclose the species (or the mix of species) of the poultry used. The fowl can be obtained from any source, so there is no control over quality or contamination. Soybean Meal – A poor quality protein filler used to boost the protein content of low quality pet foods. Has a biologic value of less than 50% of chicken meal. 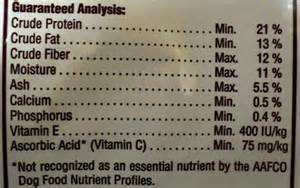 Below are some supplement ingredients that should be avoided if present in the pet food ingredient list on the label. Bone Phosphate – A highly processed feed-grade supplement to balance the calcium and phosphorus content of a product. Salt – Also listed as Sodium Chloride. A colorless or white crystalline solid, chiefly sodium chloride, used extensively in ground or granulated form as a food seasoning and preservative. May also appear in ingredient list as “Iodized Salt” (iodine supplement added), “Sea Salt” (as opposed to salt mined from underground deposits) or “Sodium Chloride” (chemical expression). While salt is a necessary mineral, it is also generally present in sufficient quantities in the ingredients pet foods include. Just like for humans, too much sodium intake is unhealthy for animals. In poor quality foods it is often used in large amounts to add flavor and make the food more interesting. Mineral Oil – Any of various light hydrocarbon oils, especially a distillate of petroleum. Mineral oil functions as a laxative and stool softener. It has no other health benefit. Yeast Culture – The dried product composed of yeast and the media on which it is grown, dried in such a manner as to preserve the fermenting activity of the yeast. An unnecessary, feed-grade ingredient in pet foods, added mainly as a flavoring to make inexpensive food more attractive. This is also a potential allergen for some dogs. Yeast Fermentation Solubles – The soluble portion of yeast (Saccharomyces cerevisiae) and the media in which is produced. A feed-grade ingredient in pet foods, added as a vitamin B supplement. It is harmless, but lacks the nutrients of higher quality yeast supplements. It’s also a potential allergen for some dogs. Below are some sweetener ingredients that should be avoided in pet food. These should be avoided as they can cause tooth decay and other health issues in dogs. Cane Molasses – A by-product of the manufacture of sucrose from sugar cane. Sugar or sweetener is an absolutely unnecessary ingredient in pet foods, added to make the product more attractive. Corn Syrup – A syrup prepared from cornstarch, used in industry and in numerous food products as a sweetener. Fructose – A very sweet sugar occurring in many fruits and honey and used as a preservative for food and as an intravenous nutrient. Used in small quantities it serves as a nutrient for probiotics, specifically bifidobacteria, which ferment it and produce beneficial enzymes. Sorbitol – A white, sweetish found in various berries and fruits or prepared synthetically and used as a flavoring agent, a sugar substitute for people with diabetes, and a moisturizer in cosmetics and other products. Sugar – Can include sucrose, cane sugar, caramel, corn syrup and others. Continuous intake of any of the above sugars can promote hypoglycemia, obesity, nervousness, cataracts, tooth decay, arthritis and allergies. Pets also get addicted to foods that contain sugars, so it can be a tough piece of work to make them eat something healthier. Below are some ingredients used for vitamins and they should be avoided if seen on the pet food label. Di-Alpha Tocopherol Acetate – Synthetic vitamin E, also listed as Dl-Alpha Tocopheryl Acetate Only about half as effective as natural vitamin E and not as readily available to the body. Menadione Sodium Bisulfate – Vitamin K3, synthetic vitamin K. Feed grade. Also listed as Menadione Dimethyl-Pyrimidinol Bisulfate, Menadione Dimethyl-Pyrimidinol Bisulfite, Menadione Sodium Bisulfate Complex, Menadione Sodium Bisulfite and Menadione Sodium Bisulfite Complex. Unnecessary ingredient in dog food. This synthetic version of vitamin K has not been specifically approved for long term use, such as in pet food. It has been linked to many serious health issues. As you can see, knowing what is in the pet food is very important. It’s up to you as a pet owner to know what you are feeding your pet on a daily basis and if what they eat is healthful for them. Feeding your pet with good quality food will be a life extender for them. 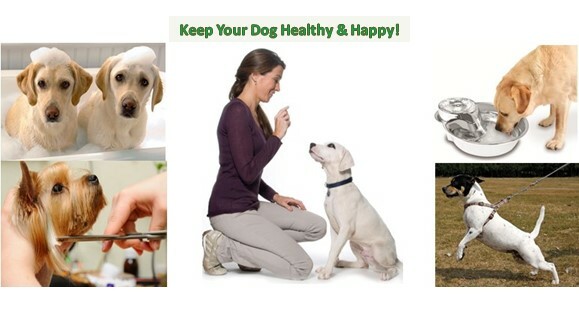 Along with avoiding the toxic foods from the video above will prevent any harmful effects on your dog. The bottom line here is if the food is not good for humans to eat, why serve it to your pet. 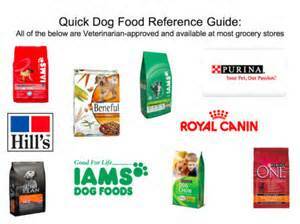 You may want to check out another related article “understanding the pet food label“.